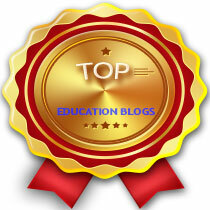 10Greatest.com has a comprehensive list of the top education blogs. It covers everything from grade-level resources to topic-specific. I’m proud to say that Ask a Tech Teacher is the first blog on the list–but we have a lot of august company, everything from Richard Byrne to Alice Keeler. If you’re wondering who to follow to be sure you are up to date on the latest in education, definitely check this list.